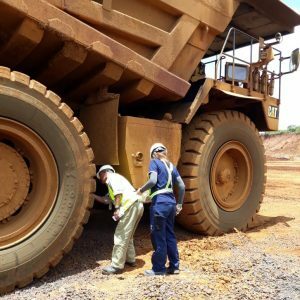 This mining operator selected 27.00R49 Magna MA04+ Giants to serve their Rigid Dump Trucks. The tyres are available in various compounds including; standard, cut and heat resistant. 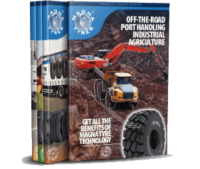 Due to Magna's proven track record regarding premium quality GIANT tyres, this customers has decided to work with Magna and now benefits from increased productivity and reduced operating costs per hour. 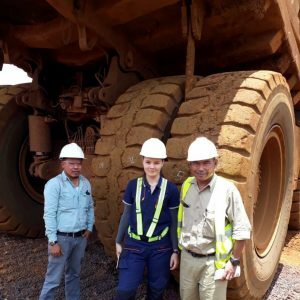 The tyres are charged with the heavy task of transporting huge amounts of dirt and rocks. The customer is happy and the tyres reach it's expectations. We also gave them some recommendations to improve their perfomance. 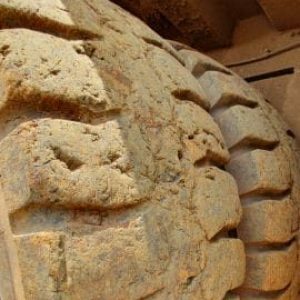 The Magna MA04+ is an all steel radial constructed tyre designed for Rigid dump trucks operating in severe off-road conditions. It provides excellent resistance to damage due to improved shoulder and sidewall protection and is also available in various compounds including (A) cut-resistant, (B) Heat-resistant and (S) Standard. The deep aggressive E4 tread pattern provides excellent traction and a long tread life.